SCHOOL OF ROCK, the hit Broadway musical from Andrew Lloyd Webber, is coming to London! Based on the iconic, hit movie, this irresistible new musical follows Dewey Finn, a failed, wannabe rock star who decides to earn an extra bit of cash by posing as a supply teacher at a prestigious prep school. There he turns a class of straight–A pupils into a guitar-shredding, bass-slapping, mind-blowing rock band. But can he get them to the Battle of the Bands without their parents and the school’s headmistress finding out? 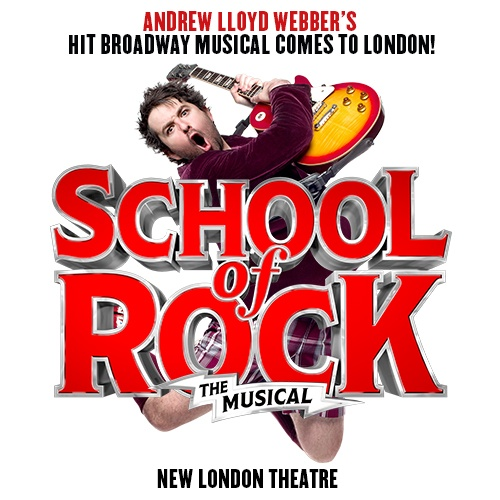 With a new score from Andrew Lloyd Webber, lyrics by Glenn Slater, book by Julian Fellowes and the original songs from the movie, SCHOOL Of ROCK is musical treat for all ages. After rave reviews on Broadway, you are invited to bring your air guitar and unleash your inner rock god!